Paint protection is a must for anyone who truly cares about the appearance of their vehicle. Every car owner knows that you have three options if you want to keep your vehicle looking as good as the day you bought it: spend thousands of dollars having it repainted every year, have a shop install an expensive PPF kit for pick up an easy to order Rshield® protection kit. 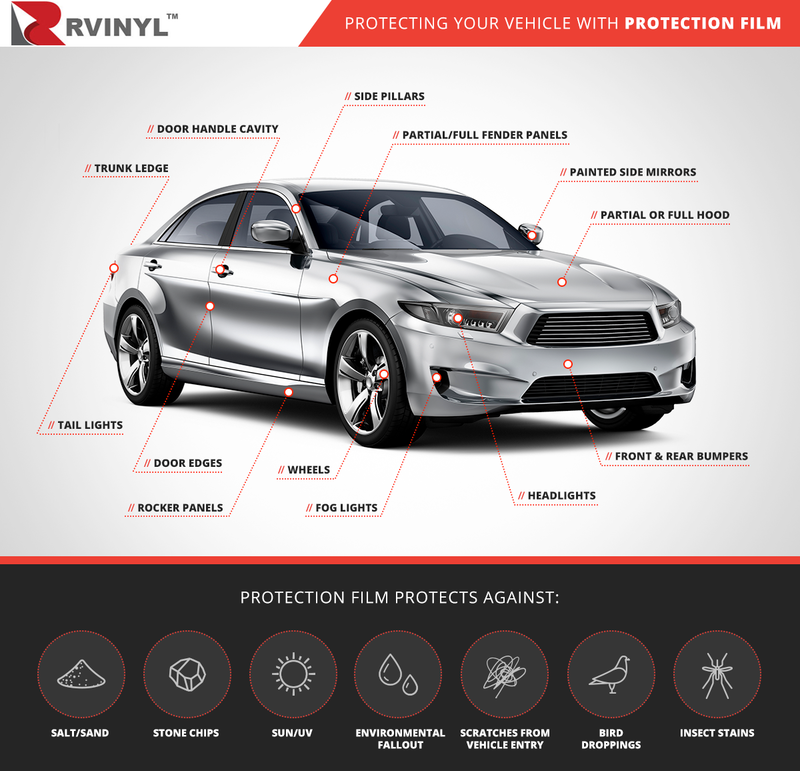 Designed specifically for the do-it-yourself installer, Rshield® is a specially formulated, urethane-based protection film that conforms readily to the most vulnerable surfaces of your car. Available as clear bra kits for your hood, fend, bumper, hood and mirrors and by the sheet for completely custom applications you can rest easy knowing that your car's delicate finish is protected. Don't wait - protect your car with Rshield® paint defender kit before it's too late. When you purchase your protection kit from us you can rest assured you're not just buying another run of the mill auto accessory - you're making an investment in your vehicle that will keep it looking great for years to come. Precut Rshield®PPF kits are custom cut to your specifications: simply select your vehicle's year, make and model, decide what areas of your car you want to protect and your order will ship within one business day. And the customization options don't stop there because we also offer the full line of precut protection kits a la carte so you can buy just the hood, fender, mirror or bumper kits or even complete kits which include all of the pre-cut protection we offer for your vehicle. Looking for a completely custom application? Rshield® PPF rolls are the ideal alternative to other brands which can be difficult to work with due to their thickness and prohibitive cost. 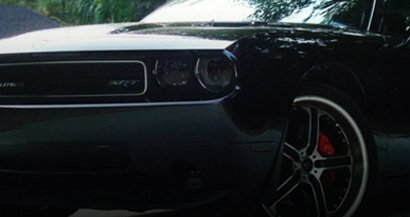 Rshield® 's 30-inch wide films are ideal for smaller areas not offered in precut model specific kits, they can be used on any painted surface of your car, truck or SUV. In addition to the 30-inch wide sheets, we also carry wide format, 60-inch width rolls for complete roof or hood jobs. Whether you are a novice installer or a certified restylers, go with the professional choice and save hundreds over other clear bra brands. Don't feel up to hand-trimming film yourself but still want to protect other delicate areas of your car? We've got you covered with pre-cut protection strips custom-designed to protect high-traffic door sills and rocker panels and an assortment of universally sized door handle covers. We've all seen what day after day of wear and tear can do to the finish at the door edges and around door pulls so stop the damage before it goes any further with these simple to apply, invisible paint protection kits. Looking for tips on protecting your car? Check out our helpful paint protection guide below our manufacturer listings below. A car is often the second-most-expensive investment an individual will ever make. Unfortunately for us, cars depreciate and must be replaced every few years. But not everyone has the financial means to replace their vehicle every few years, so spending a little on protection in the short-term can pay significant dividends in the long run. Many causes of "accelerated depreciation" are beyond our control. Accidents and mechanical failures can put your car out of commission, but if your car survives into old age, it will be the accumulated wear and tear that causes its ultimate demise. You do have options for protecting your car from the nicks and dings that accumulate over time, though. By being proactive and exercising some reasonable precaution, you can delay the effects of old age for a few years. The first line of defense for your car is the paint job. Protecting your car's paint job is the key to preventing rust issues down the road. Wax and clear coats will help, but the maintenance is time-consuming. Modern car styling has trended toward painted surfaces everywhere, meaning the days of black plastic body trim are in the past. To see what our options are for protecting our car's paint job, let's start at the front. Several products exist to provide physical protection to the front of your car, but what if you don't want to change the appearance of your vehicle? A clear vinyl car bra is the way to go. A clear bra will offer the same protection as the leather and leather-like options that were popular in the '90s and have descended firmly into "ironic retro" territory. A clear bra, however, won't draw negative attention to the car you've worked so hard to take care of. The advantage of using a clear bra for the front of your car is that the product is easily replaceable. When your first application gets beat up, the film is easily removable and the second one is easy to apply. Renewing the protection takes a couple hours at most. Clear paint protection films come in all shapes and sizes. Manufacturers have created entire sheets for customization, and specialized sheets to match all makes and models. Retailers have devised packages of all shapes and sizes to meet the needs and budgets of every serious buyer. Car bras and larger sheets of protective film can offer several levels of protection to cover all areas of the car, such as the hood, fenders, bumpers and rocker panels. Because your side mirrors stick out to the sides of your vehicle, they will pick up some of the bugs and road debris that missed the front of your car. The trend toward painted side mirrors means they experience the same vulnerabilities as the rest of the body panels on your car. Protect your side mirrors with the same clear protective film you would use on your fenders and hood. No matter what fancy technology is installed on the automobile, car manufacturers have not yet figured out how to replace the humble door handle. Our door handles see contact every single day, and the wear and tear accumulate over time. Jewelry and keys can scratch the cavity behind the door handle - and this damage can be difficult to repair. At best, you can buff out the scratches, but getting into that space with buffing equipment isn't easy. It's much easier to get in there with a piece of clear protective film. Applying the film will help defend against the random scratches and scrapes this cavity will incur. Keeping your door handle clean will go a long way toward protecting its resale value down the road. We've all seen cars on the road with lights so cloudy it's hard to tell they're even turned on. You often wonder how those drivers can see anything at all at night. The cardinal rule of driving at night and in bad weather is to never drive faster than you can see. Headlight cleaning kits can, for the cost of the materials and a significant amount of elbow grease, restore these dingy, cloudy headlights to functional condition. These kits use special cleaners and various grades of sandpaper to strip away the years of built-up dirt and grime slowly. The stubbornness of the grime on the headlight frequently outlasts the patience of the person doing the work, so you probably won't ever get your headlights back to "like-new" condition. Furthermore, this work goes out the window when the dirt and grime accumulate and you have to go through this all over again. Your best bet to avoid this heartache is to address the problem before it starts. While your headlights are still in like-new condition, you should consider applying protective clear headlight film. You can either combine it with a total front-end protection solution or search our inventory for model-specific protective sheets that will fit the shape and contour of your car's headlights exactly. These protective films will help combat the road dirt, salt and UV rays that cause the accumulation and structural damage to your headlight's plastic cover. And best of all, they're designed to meet strict criteria regarding transparency, so you don't have to worry about compromising the performance of your headlights. They'll be just as bright as they were the day you bought the car. Multiple vendors sell whole sheets of clear protective film to be used on any surface of the car, and other vendors have precut options designed to fit particular models. We've had years of experience crafting custom solutions, so you can be confident your light protection film will fit perfectly. Rvinyl also offers several styles of headlight protection. Some of the options will compromise the performance of your headlights, but they're designed to add a touch of flair to your vehicle's appearance. If you decide to install the tinted styles, make sure you check with state and local authorities first and follow all guidelines for installing and driving with your newly tinted headlights. Headlights see as much damage from above as they do from ahead, because the UV rays of the sun can reach them and inflict damage on the plastic coating of the headlight case. This isn't such a big deal for fog lights, but that doesn't mean they're completely safe. Fog lights are much more likely to sustain physical damage from road debris, since they're positioned so much closer to the road surface. Fortunately, your physical protection options are similar. Clear protective fog light films can provide adequate protection. If you choose to do it yourself, you could cut your fog light covers out of your larger sheets of protective film. Additionally, custom fit options exist. You might be tempted to think the front of your car will take all of the potential damage because your car spends most of its time moving forward. This is mostly true, but danger can approach your car from all directions. Tail lights might not be vulnerable to road debris, but they are vulnerable to other cars, poles and walls. If you were to back into something in a parking lot, your car's bumper and rear quarter panels might dent, but your headlight casing will probably shatter. If someone backs into you, the same damage is possible. In the case of physical damage, you could install tail light guards, which are physical cages surrounding the tail lights. On a truck or large SUV, these look pretty boss, but they might not be the best option for smaller cars and minivans. Tail light protective films will be the much more aesthetically appealing solution for most cars. Stylistic options also give you other considerations to factor into your decision. You could opt for a clear film to keep the stock look and provide a little extra protection. You could also choose a smoked or tinted film to provide a little detail that will help set your car apart from the crowd. We use our cars to run all sorts of errands and participate in various hobbies. Not many of us can afford to keep a spare car around to handle the heavy jobs, so we put our prized possessions through the paces. Musicians and athletes are constantly tossing cases, bags and equipment into the trunk, and we don't always pay attention to how we're doing it. And even if you aren't a musician, you might find yourself loading up gardening supplies, tools, bulk items or even Craigslist purchases. Regardless of what goes into your trunk, the rear bumper deck tends to take a beating. Some manufacturers will offer a plastic guard that the dealer can install before your car is delivered. This plastic isn't designed to look pretty, but it does protect the paint and bumper surface underneath. But what if you've scored your dream car on the used market and the original owner didn't have the foresight to buy this upgrade for your future convenience? You could get away with the same protection film you would apply to the front of your car, but these films are designed to protect against stones and salt, not semi-rigid golf club bags and heavy guitar amps. A full, sturdy plastic solution will be your most effective option. Self-inflicted wounds are the most demoralizing damage to deal with. Knowing you could have prevented that scratch or dent is tough for a proud, conscientious car owner to live with. Considering all of the possible damage you could have done to your car, the door is the most likely location. Door damage comes in two general forms: Opening your door into another car, a wall, or a pole and another car owner opening their door into yours. Defending against these two types of damage requires two different solutions. We all get in a rush and lose track of our surroundings, so opening your door into a pole or another car is understandable. The outer edge of your door swings out the widest, so it will be the primary point of impact. Chips and scrapes on the edge of the door are daggers to the heart for a car owner, but several manufacturers have created bumpers that guard the edge of your door. These guards come in multiple shapes. Some provide a small strip to protect the outside edge of the door. Others wrap around the edge to provide a little protection for the edge itself. A complete solution wraps around the door completely and offers equal protection to the inside and outside edges of the door. If you want to protect your car's exterior panels, a complete vinyl wrap will offer peace of mind. In addition to the physical protection, a vinyl wrap can offer aesthetic possibilities that other forms of protection cannot. As we discussed earlier, you should choose clear protective films if you're looking for protection that won't detract from your car's styling. On the other hand, a vinyl wrap can transform your car's appearance. Perhaps your car isn't much to look at, but you're still interested in keeping it safe. Maybe you've always wanted a car in British Racing Green, but an actual British car is beyond your financial reach. You can add years to the life of your car and stoke those dreams of racing around Silverstone. A vinyl wrap is not a do-it-yourself option, but it would be the most transformative choice. Vinyl is durable and resilient and it takes the damage so your car's body panels stay safe and sound. If a vinyl panel does sustain enough damage to warrant a repair or replacement, it's much easier and less expensive to remove the damaged panel and replace it. If your car's paint job incurred such damage, your only options would be to live with the imperfection or repaint the entire car, which would cost thousands of dollars and about a week of your time. Dents, dings and scratches on your car's body panels are often beyond your control. Other cars kick up road debris and assault your paint's finish. Cars in the parking lot are going to find your doors with theirs. Even the best drivers can suffer the occasional fender bender. Point being? Accidents happen - and even the most careful driver and diligent car owner might have to deal with imperfections on their car. But nothing exposes a careless owner faster than wheels marred by curb rash. Generally speaking, curb rash is caused by driver error. Either because the driver lacks sufficient parallel parking skills or isn't paying close enough attention as they approach the curb, the driver is firmly in control of the health of his car's rims. 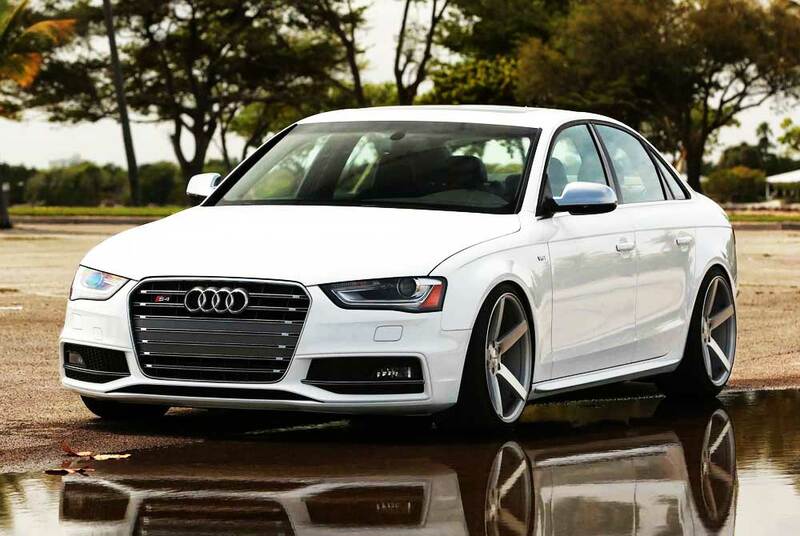 The most effective way to protect your car's rims from curb rash is to not hit curbs in the first place. But life is rarely that simple. Thankfully, products do exist to help protect your rims and keep your wheels looking as sharp as the rest of your car. Wheel bands are the most popular and versatile option to protect your wheels, and they're an easy do-it-yourself weeknight project. The plastic bands install on the rim of your wheels with a special adhesive and protrude beyond the edge of the rim. When you do hit the curb, the wheel band will take the first contact and keep your rims unharmed. Unlike most of the items in this guide, wheel bands provide style just as well as they protect. Other options are designed to be invisible or at least not intrusive. Wheel bands offer the potential to make a statement with your wheels, either by matching your car's body color or by offering a contrasting or complementary color. In fact, you could think of wheel bands as a style accessory that offers protection as an added bonus. It might seem like a stretch to claim you can provide preemptive protection for your windows. Window tints won't provide any measurable protection for your windows themselves, but they will provide invaluable protection for your car's interior. In some respects, this interior protection is just as important as the exterior protection we've discussed up to this point. Keeping your car's exterior in good shape is going to preserve the car's resale value, but keeping the interior in tip-top shape is going to make your car more livable, more enjoyable and more valuable when it comes time to sell. Ultraviolet rays can cause serious harm to the plastic surfaces of your car's interior. Direct sunlight can also cause seriously dangerous temperatures in your car's cabin, reducing your fuel efficiency by putting a serious burden on your car's air conditioning system. Installing protective car tint can combat both of these hazards. Applying tint film to your windows can be a do-it-yourself project if you have the ambition and the necessary tools. If you would rather leave the job to a professional, you should have no problem finding qualified shops in your area who are willing to do the job at a reasonable cost. Applying all of these options to your vehicle could cost thousands of dollars. Wrapping your entire car in clear protective paint film would be time-consuming, and by the end you'd be able to put up a nice down payment toward your next vehicle. The challenge is to find the mix of protections that makes sense for your vehicle and the dangers it will face in its daily travels. Here at Rvinyl, we have a complete inventory of products designed to fit nearly every make and model, with warranties and guarantees to back it all up. Browse our selection above and protect your ride today!